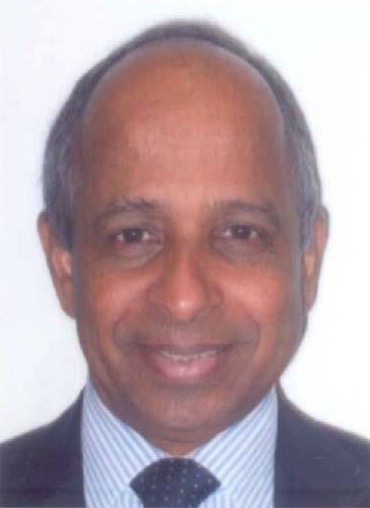 Sri Lankans of all races Sinhalese, Tamils, Muslims, Burghers, Malay and of all religions Buddhists, Hindus, Muslims, Catholics, and Anglicans have voted in millions on 8th January 2015 in favour of Mr. Maithripala Sirisena to become the next Executive President of Democratic Socialist Republic of Sri Lanka. The people of Sri Lanka have placed their trust and pinned their hopes that the newly elected President of Sri Lanka will re-build a Democratic, Compassionate, Peaceful, Law abiding and Sovereign nation in the near future. On 30th of January our new President addressed the nation and demonstrated for the first time in the history of our political sphere that the Leader of our nation has humility among other leadership qualities to lead our nation during the next five years. This is a very important leadership quality which is lacking in most of our current politicians. In his address to the nation the new President has exhibited that he has no ego and he is willing to solve problems with discussions, respecting other opinions and compromising wherever possible to achieve the maximum benefits for the people of Sri Lanka. As Ezra Taft Benson stated the President has shown that “Pride is concerned with who is right. Humility is concerned with what is right.” Humility does not show weakness in leadership as some people believe but it is concerned with what is the right approach for the issue at hand. The previous regime showed arrogance in-lieu of humility hence they were unable to learn from their mistakes. If the new President governs our country exactly the way he has outlined in his address to the nation, there is no doubt that he will become one of the great leaders in Sri Lanka. As Rabidranath Tagore stated “We come nearest to the great when we are great in humility”. The main objective of his Vision, as he explained in his address, is to change the political culture in Sri Lanka to eradicate unlawful behaviour by the politicians and their supporters during pre and post-election periods. I hope that the President and his government will put in place adequate laws that are required to achieve this long overdue demand for peace and harmony in the country during election periods. I believe that this is something which can be achieved in the next general election if the full police powers are given to the authorities to act independently without any political interference. Zero tolerance must be applied for people who engage in political violence irrespective of their status, political affiliation, or their relationships with influential politicians to ensure that implementation of this objective is not a Fantasy but a Reality. The other important objective set out by the President is to change the mind-set of current politicians during the forthcoming general election which is to be held after the 100 days rule by his interim government. It appears that here he is seeking the cooperation from all political party leaders and their candidates to conduct their election campaigns in a most civilised and gentlemanlike manner which has never been seen or conducted by our politicians in the recent past. About two weeks ago the President has been elected as the Leader of Sri Lanka Freedom Party replacing former leader of SLFP Mr. Mahinda Rajapaksa. Naturally the President as the leader of SLFP and his committee for the election campaign main objective is to gain maximum number of seats for the SLFP during the forthcoming election. Likewise as the Leader of United National Party, Mr. Ranil Wickremesinghe and his committee for the election campaign will work vigorously to gain the maximum no. of seats for UNP in the general election. If this is a direct contest between the President and Mr. Ranil Wickremesinghe, I fully agree with the President that with a minimal of effort both of you can work together in the way in which the President is advocating. But it will be a non-starter for the majority of candidates in the two major parties who are coming from very different backgrounds and objectives in mind, to work together during the election campaign forgetting what has happened in the past. Changing the culture of an organisation is a difficult one but it can be achieved in the long-run with lot of determination, dedication, and bold decisions by the top of the Leadership. In my experience, working as a Senior Level Manager in a public organisation in London, it took about three years of hard work to change the culture of the workforce when the organisation merged with a private company to set up a Public Private Partnership. Though it was established as one organisation the workforces from the two fractions, the public and private had their differences in behaviours. Private sector employees thought they were superior to the employees of the public sector and vice a versa. Employees of both parties were suspicious of each other. One party’s approach to an issue was completely different from the other party’s perspective to the problem. In order to ensure that we work together as one organisation with one goal in mind we conducted Change Management Training courses which lasted for about one year for the Senior Managers and later for the other Managers, about 1000 in total, to understand each other and change their behaviours for the benefit of all stakeholders. One of the most important thing in this process was how to motivate the workforce to change their mind-set to work together in a commercially driven new environment. In order to drive the Vision advocated by the President, he and the Prime Minister need to take some bold decisions during the forthcoming election to set the foundation for this ambitious plan. 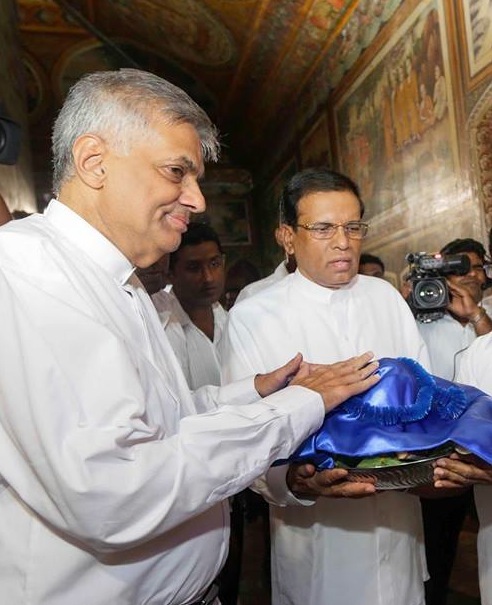 President has been working in the SLFP at various levels for about 47 years as a member of the SLFP. 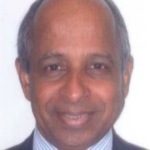 He should have a fairly good knowledge about the present SLFP MPs and their conduct in the political arena in detail. Recent allegations of bribery and corruption, drug dealing, and other ill-legal activities against some of these MPs are in the public domain though no legal actions have been taken against them yet. If charges are brought against these MPs before the general election, as the Leader of SLFP can the President exercise his authority and take action not to offer the SLFP nominations for these MPs. It appears from their past behaviour it will be an impossible task to change the mind-set of some of this these MPs even in the long-run. The same principle is also applied to the Prime Minister if he wants to set up an open and honest partnership with the President and the SLFP. If both parties try to score points in order to win the highest no. of seats in the parliament this process will fail at the outset. But isn’t that the Reality of Politics for one party to score points against another party? Can the President and the Prime Minister motivate their MPs to follow this new path? In my experience in London, our new organisation in addition to our Change Management Training courses we offered 10%-20% bonus scheme to every employee to change their attitudes to work together and achieve their yearly objectives. We created a new culture where employees felt that they want to work and not that they have to work. It is human nature that they expect something in return for them to change the way in which they are used to work and behave. That is how the new culture which is embraced by the entire workforce is been implemented in the commercial world. There are no quick fixes for the changes in human behaviour. In the political world things are different because there are no personal financial gains other than the salary to be received for providing a public service. No incentives can be offered from the public purse for changing the behaviours of the MPs. In the past we have had politicians who had entered the political arena not to earn money but to do a service to the people. They were honourable politicians and they did not abuse their political positions to illegally engage with the business world to demand commissions to award contracts to scrupulous businessmen by undermining the government tendering processes. The things are very different now. It appears that only a handful of politicians from both major political parties and the members of the JVP are sincerely engaged in politics to do a service to the country. Most of the others spend millions of rupees in their election campaigns to become MPs because they are certain that with the blessings of their party hierarchy they can earn money for generations by using their positions engaging in various illegal activities and carrying out unethical deals with some in the business community. Therefore it is my belief that it is an enormously difficult task to implement the President’s Vision to change the culture of majority of our present politicians in the short run. I hope that the President and the Prime Minister have got strategies and tactics in place to motivate their members to embrace the new culture. Is it a Fantasy to think that we can achieve this in the forthcoming general election? I sincerely hope that both the President and the Prime Minister will be able to withdraw nominations for the MPs who have failed to exercise their duties to an acceptable standard and those who have passed their sell-by date in politics too. I was in Sri Lanka during the election period and I have witnessed that there are some honest politicians with no prominent places in their parties and up-coming educated younger politicians who are willing to embrace the new political culture which has been advocated by the President. I believe that both the President and the Prime Minister are open and honest to establish the new political culture but if you fail to act honestly and decisively on the important matters that are relevant for the success of this process the President’s Vision will become a Fantasy instead of a Reality. Democracy – has given rise to racial politics. All politicians practice it since SWRD. That is why we have endless strife. Campassionate – No, compassion is alien to the Sri Lankan culture. See how much fireworks and kiribath we ate after the massacre of thousads in 2009. How many death orgies we joined in during 1956, 1977, 1983, death brigades, white vans, disappearences and so on. Peaceful – You must be joking. What peace did we know since 1948. Law abiding – Yes, the rank and file have to. If you are rich, powerful and are in politics you don’t have to. All politicians have got away with murder. Sovereig nation?? – We have already mortgaged our country to the Chinese, if you did not know. We will be under the yokels of the yuan for a very long time to come. Come down to earth Gamini Jayaweera, you are talking about Sri Lanka -‘Loke Uthum Rata’. If I were you I wouldn’t be in the past always and suffer from anger, hatred, etc. We Should try to look through the front windscreen of the car rather than looking at the mirror in the car. Living with Greed, anger, hatred, jealousy, ill will, etc. demonstrate our ignorance. Wisdom comes from being in the present moment which allows us to generate positive thoughts and not negatives. I know that most of us are unable to follow this path. I wish all Sri Lankans think the way you do. Unfortunately no other Sri Lankan thinks like you, at least I have not come across one who has no hate or anger or jealousy or greed. That is why we are what we are. That is why even a pacifist religion like Buddhism has made no difference to our horrific behaviour. I wish I can share your optimism. I must say that at the very outset of your write-up, you have very well done an analysis on behavioral factors of the human beings which is the number factor for the current strife in our country and in many other foreign lands as well. If we are to march forward even by an inch, we must make a sincere attempt at changing our behavioral pattern so that our attempts at working towards a peaceful solution to all the ills will be very much easy to work with success. This trend at easily resolving the issues must begin at home from where we tend to assimilate everything in life, through to the life in the school leading up to the higher education in the higher echelons of educational institutes of higher learning till we reach our status as senior citizens in the society. If I were you I would not live in the past and suffer from anger, hatred, and negative thoughts. One should look through the front windscreen of a car rather than looking all the time at the mirror in the car. We Need to train our selves to be in the present moment and get rid of greed, hatred, ill will, jealousy, and anger. This process will eliminate our ignorance and help us to develop our Wisdom to understand the reality of life. I know that most of us love to live in the past. Thus ciubtry cannot go on with racial and religious politics. Time is ripe now to eliminate the deficiencies the minorities complain and treat all citizens alike. Tge beauty of this country would be with a multi racial, multi religious society living in harmony and understanding. Every citizen must take the responsibility to promote same. We should not be naive. Democracy can produce justice only to the extent that the people at large are just. I dont believe that our people are just. The vote for MR shows that they swallowed his demagogic rhetoric. Racism is ingrained in our people and the politicians who know it will use it to stir anger against the minorities. One swallow doesn’t make a summer. The most we can hope for is a government that will ensure the Rule of Law. Much will depend on the Buddhist monks who were racist ( remember the B_C Pact opposition and the opposition to the Dudley Senanayake- Chelva pact)and many still remain the same. It is true that political culture needs to be corrected and modified for a successful organisation. However, you have not touched the subject of the National problem and what the leadership should do to resolve that problem. The current level of bad politiacal culture was raised year year since 1948 simply to oppress Tamils. The competition between SLFP and UNP was not on peace building, but on oppressing Tamils and their rights. Do you have any thoughts? It’s obvious that those who disagree with what you are trying to convey have missed the most important point. that parties like TNA Muslim Congress Jahika Hela Urumaya and JVP have got together to support MS who is representing the two major political parties to resolve the major issues and establish the Rule of Law in Sri-Lanka. At least for a change let’s be optimistic. Gamini I am sure you are not alone and there’ll be many who support your point of view. What said by GJ in his briefing is no doubt the rationale and sence. Many others reflected their frustrations based on their sad experiences of their life in the country. Let us follow the principle that EVEN IF NO BODY DOES IT – THE. RIGHT IS ROGHT AND IF EVERY BODY DOES IT – THE WRONG IS WRONG. Unless we make a start at some point of time never the correction can take place. Now some of our leaders have become bold to take chances of put house in order. Let us encourage them and cheer them up to go ahead. If there is a will defenitely there is a way. When common opposition was announced many were surprised and were truly doubtful of the victory. Eric Solheim in his recent article says that many in the west were too sceptic of the common opposition and its victory in the presidential election. In the same way these freshly incarnated leaders will find a way out to handle the parliamentary elections and the rotten politicians as well. Even the rot tens may change if they think there is no other way to exist. See the KELNIYA M de S has put a 180 degrees turn. He is complaining some one for bribery. Because change is inevitable. Do not forget the availability and still existing CBK, Indian RAW, JHU, JVP, NDA, et al., and also leaders like Rajitha, Arjuna, SF, Prof. Rajeeva. Jayasinghe, vignesvaran, Sambandan, Sumendiran, Mavai, Kabir, Badoordeen, Hakeem and many others. First let us keep ourselves confident for the struggle. Many silent rebels will join the battle for truth, democracy, good governance, rule of law, and to eradicate curuption. This is not a new philosophy, but the realities of the past in many societies world over and I am quite confident that a country like Srilanka which is rich in religious culture will definitly move towards the change we all aspire for. Long live the new Sri Lankan Political culture brought out by MS, RW, et al.